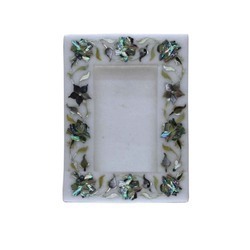 white marble photo frame inlay semi gems stone and many more colors of inlay . 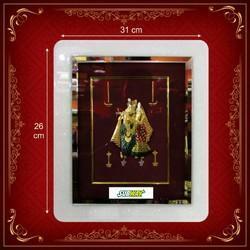 Clients can avail from us a wide collection of Decorative Photo Frame. This range of Photo Frames is manufactured by using high quality material which ensure its best quality. Available in various colors and designs, we offer these Handcrafted Photo Frames at reasonable prices to our precious customers. Synthetic stones of different colors with white mother of pearl laid on Indian hard word and polished in walnut polish. Being a leader in the industry, we are engaged in offering a qualitative range of Stone Photo Frames. Our expert teams assist us in offering a wide range of premium quality stone photo frames that are perfect for gifting to our near and dear one. These are ideal in keeping the long lasting memories forever. Owing to our years of industry experience and precise knowledge of this domain, we are offering an outstanding assortment of Marble Photo Frame. We are offering Stone SH-05 Frame to our clients.